Light weight and one-handed operation. Spindle stop for easy cutter changes. Routing depth adjustment to 1/10 mm. Quick-acting brake for improved safety (OF 1010 EBQ). MMC electronics for adaptation to the working material and temperature monitoring. Chip extractor integrated into the router baseplate. Recessing metal fittings. Rounding, chamfering, rebating and profiling edges. 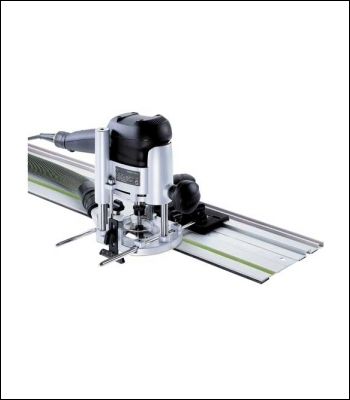 Grooving rear panels, recessing dovetail batons or routing plasterboard with the guide system (edging technology).